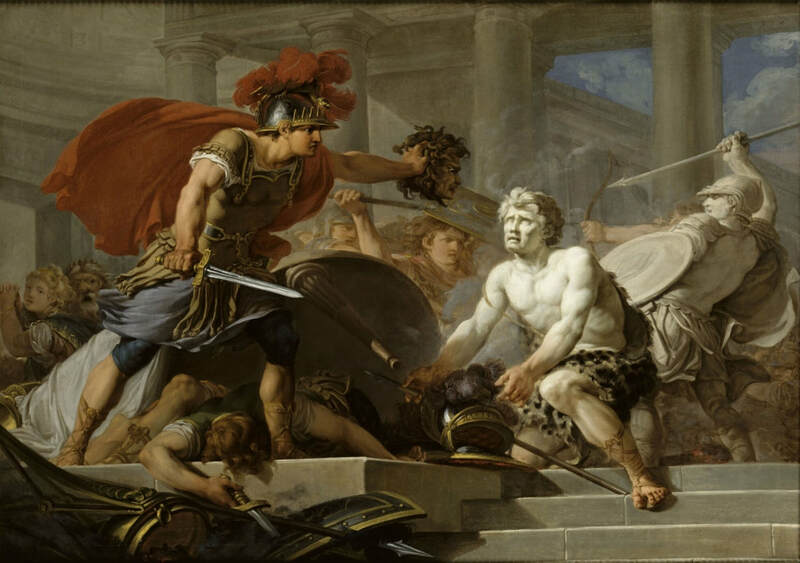 Phineus was a minor figure to appear in the story of Perseus, and one who appears after the slaying of Medusa, when the Greek hero arrives in Aethiopia. ​Phineus is most commonly said to be a son of Belus, King of Libya born to the Naiad Anchinoe. The most famous sons of Belus were Danaus and Aegyptus, , the famous fathers of 50 daughters and 50 son. Later writers would add two further sons in the form of Cepheus and Phineus. ​Cepheus would become ruler of Aethiopia, the land south of the Sahara, where he would wed Cassiopeia and become father to Andromeda. Phineus would be just a member of the royal family, but he had his eyes on the throne of Aethipoia, especially as Cepheus had no son to inherit it. To further cement his position as heir to the throne of Aethiopia, Phineus also ensure that he was betrothed to Andromeda. ​Trouble though then came to Aethiopia following the boast of Aethiopia, and now a sea monster, the Aethiopian Cetus, ravaged the coastline; and ultimately Andromeda was to be sacrificed to appease it. Andromeda was of course saved by the intervention of Perseus, and now it was decided that Perseus and Andromeda were to wed.
At the feast that followed the declaration, Phineus burst in on the festivities to complain about the fact that his intended was now to be given to another man. Cepheus though would rebuke his brother, pointing out that Phineus had done nothing to save Andromeda, nor to rid Aethiopia of the monster. Phineus saw now only one way in which his former position as next in line to the throne could be regained, and that was to kill Perseus. 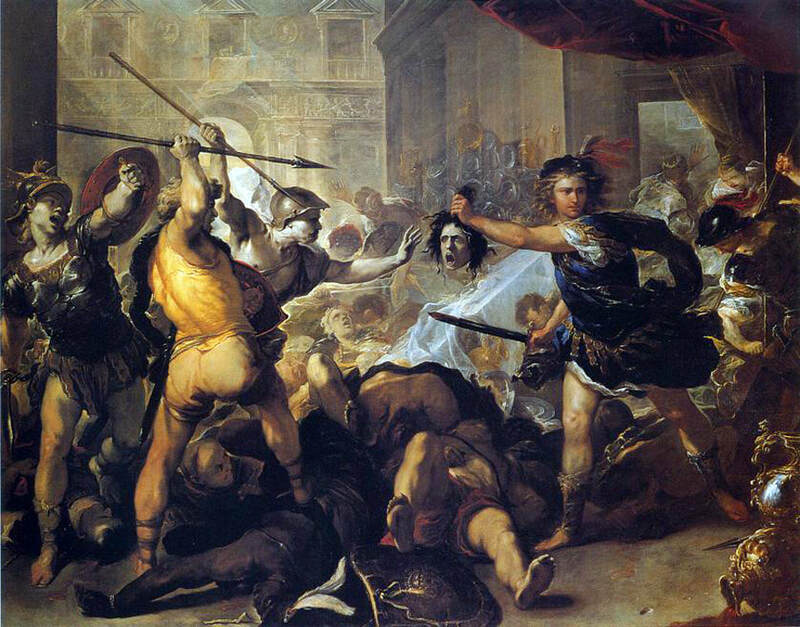 Phineus would throw a spear at Perseus, but of course it missed. ​Phineus had not come to the feast alone, and he had brought a band of followers with him, but Perseus, though he had come to Aethiopia alone, now had many friends in the court of Cepheus, and so a pitched battle began. Ovid, in the Metamorphoses, gives a detailed retelling of the fight and deaths on both sides. When the opportunity came though, Perseus removed the head of the Gorgon Medusa from the magical satchel in which it was held firm, and displaying it towards the followers of Phineus, Perseus turned them to stone. Initially Phineus avoided the fate of his followers, for he averted his gaze, but then Perseus walked up to him, and though Phineus pleaded for his life, Perseus thrust the head of Medusa, with her eyes towards Phineus, into the face of Cepheus' brother, and Phineus too was turned to stone.